We don’t need to explain the absolute necessity of a sound braking system. Brakes are clearly an element of your car that cannot be taken for granted. When you press the pedal, hydraulic fluid is forced down to the calipers in each wheel, which in turn causes the brake pads to press against the brake discs, bringing your car to a stop. Your car needs to be able to brake smoothly and quickly during the course of every day driving and they need to be highly effective if you find yourself having to brake hard in an emergency situation. Your brakes undergo a huge amount of wear and tear. Continuing to drive on worn brakes will quickly cause damage to the other brake components and can eventually lead to brake failure. 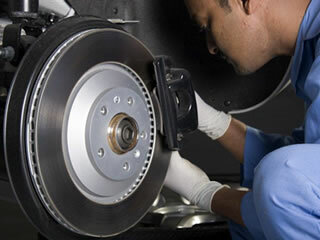 Regular brake checks are very important for the maintenance of your car. Undergoing these checks means that you can identify any problems before there is an impact on your ability to stop. In order to pass the NCT, your brakes must perform to a very stringent efficiency standards. 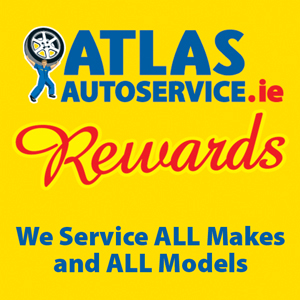 Free brake checks are available at your local Atlas Autoservice all year round. (both now having the friction material), then “stick” to each other, providing the friction that stops the vehicle. In disc brakes, there are usually two brake pads per disc rotor. … Most vehicles have two brake pads per caliper. When the brake pedal is applied the two curved brake shoes, which have a friction material lining, are forced by hydraulic wheel cylinders against the inner surface of a rotating brake drum. The result of this contact produces friction which enables the vehicle to slow down or stop. Vehicle is pulling to one side. 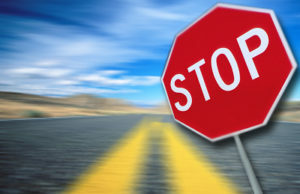 Longer stopping time in normal driving conditions. Metal-to-metal scraping sounds when you brake. Brake warning light appears on your dashboard. 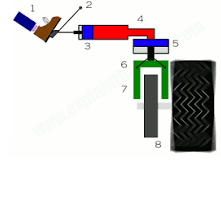 The lever pushes a piston (blue) into a narrow cylinder filled with hydraulic brake fluid (red). … When the brake pad touches the brake disc, friction between the two generates heat (red cloud). The friction slows down the outer wheel and tyre, stopping the car.